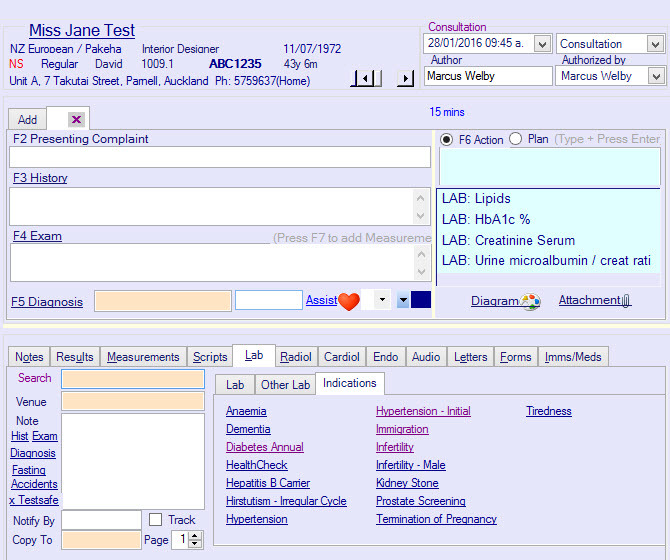 You can order tests using the Lab tab, at the bottom of the clinical notes screen. Under the Indications tab, you can choose from a list of Investigation groups. Each group you select will order a certain group of tests. For example, Diabetes Annual has been selected in the photo below. You can see that a list of appropriate tests have appeared in the blue Actions pane. You can delete any test by clicking on it and pressing [Delete]. 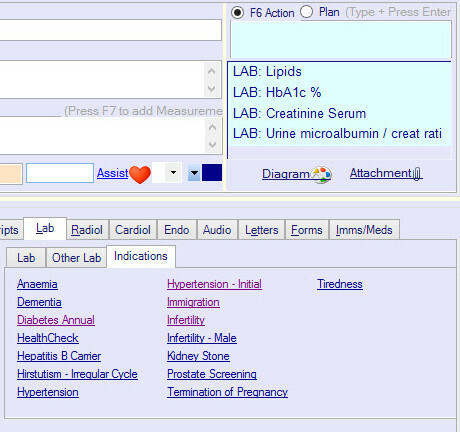 Select Investigation by Indication from the Tools menu, under Clinical Setup. Click on the grey line to add an indication. Click the + on the left of each indication to view the tests within that group. Each indication can contain one or more investigations/tests. Add a new test by clicking on the grey line. Type part of the name in the orange box and press [Enter] to search for the correct test. Click the + to the left of each test to view any conditions of the test. 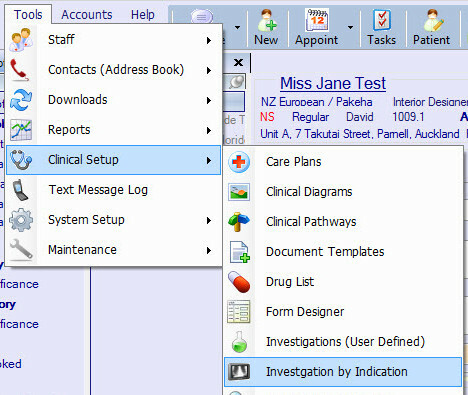 If the conditions are met (based on patient details), the test will be ordered when you select this investigation group. 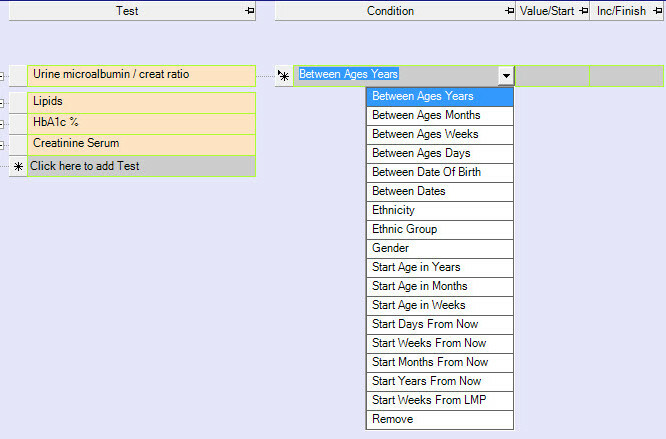 Select the condition from the drop-down menu, and enter the start/end values in the next two columns.